Studying abroad can be a life-changing experience. More and more students feel excited to get out of their comfort zone and embrace the newness of a different country and a different overall student life experience. Studying abroad is life-enriching in many ways and can teach you things that your home university will not be able to. Not because the education system back home may not be good enough but because studying abroad puts you in a completely different context. It is easy to get stuck in a college routine. Going to class, meeting your friends, studying and then do it all over again each day can become boring. Yet, studying abroad will encourage you to step outside your comfort zone and try something new all the time. Your curiosity will constantly be fed with new discoveries that will get you eager to continue exploring something different every day. Studying abroad will help you gain a whole new experience about yourself and the world that surrounds you. You will have the unique opportunity to understand that the world is not as big and intimidating as it may seem because you will prove to yourself that you can deal with any new challenge. This experience will gift you with tremendous growth as a person which will help you develop into a well-shaped adult. 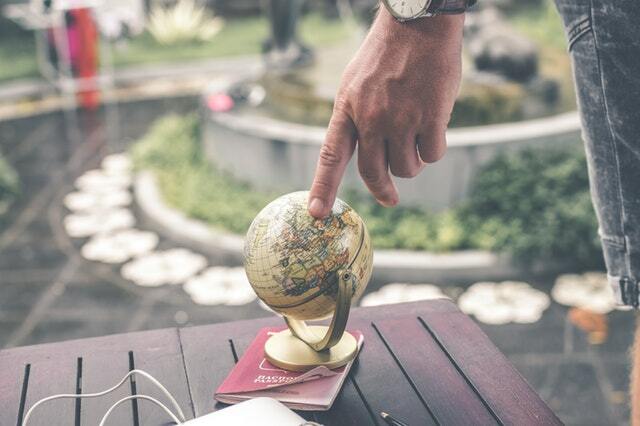 Read below all the life lessons studying abroad can teach and prepare you for life after school. One of the main benefits a student can get from studying abroad is self-awareness. By living and studying in a foreign country, you can gain a deeper and new understanding of your personal heritage and values. 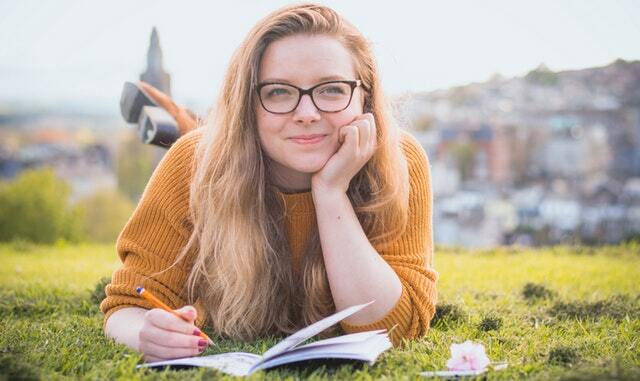 Students who embrace the experience of studying abroad often learn how to trust themselves as they become more independent, self-reliant, and self-confident. Studying abroad means exploring. Yet, the most important aspect that you get the opportunity to discover yourself. It brings out your independent nature and you will feel more comfortable with being yourself. There are no people from your past which means no social norms of your family or society and you are only living in the present moment. Therefore, when studying abroad you will feel the freedom to be and act exactly as you are. In today’s global economy, individuals who study abroad are more likely to stand out from other job candidates with skills which can only be gained from such an overseas experience. Strong cross-cultural communication and familiarity with international standards, laws, and regulation will make you become a desired candidate. Needless to say, language skills, a great education, and a proof of willingness to learn and embrace the new are all attractive aspects to future employers. Moreover, the experience of studying abroad will also open various doors for career options in the new country that you live in during and after your studies. You will hone your language skills and learn a foreign language. Therefore, you will be able to obtain a job if you wish to remain there after college. Studying aboard will be the experience to welcome adventure in your life. The act of getting out of your comfort zone and embracing the newness is an adventure itself. It takes a dose of courage to give up to everything you know and feel secure about and start an exciting, yet unknown journey. Overseas, you will have plenty of opportunities to try new experiences and meet new people. You will learn to enjoy every single moment of your life and you will learn how to live in the present moment. It will help you become more open-minded and embrace adventure more easily without allowing fear or second thoughts to stop you from making the decisions you wish to make. Living their home town for college is a scarring challenge for many students. They fear that being on their own in a completely new place, surrounded by strangers and no familiar place will be a bitter time. However, once you embrace the newness that this experience brings, you will realize how independent you can actually be. You learn to rely on your own strengths to overcome any challenge which might occur. Also, you will learn to be responsible for yourself. For example, you will have to decide on an excellent choice of accommodation for people studying in Newcastle. It will be the place which you are going to call home during your studies, so you definitely wish to choose the right property in the most popular areas for students. Moreover, you will have to learn how to take care of your personal finances and manage your time wisely. You will get a sense of independence by being able to decide on your own. This will help you develop into a well-shaped and capable adult who will be able to take proper care of yourself. While studying abroad, you will gain a whole new perspective on education. First of all, you will get the opportunity to access great academic learning. From experiencing new courses and topics to alternative methods of teaching and learning. Every country has a different education system which will help you gain skills on how to adapt to new methods of learning. You may get in contact with topics and subjects which you would have not studied at your university back home. And, once again, get an advantage in front of other candidates when you get back home to start your professional career. Moreover, you will also experience education on a daily basis from real-life events. You will get in contact with new people from whom you can learn various things and will help you gain greater respect and understanding for other cultures, values, and norms. Studying abroad is an enriching experience which will prepare you for the life that comes after school. By helping you understand yourself better and grow into a better version of yourself, you will become a well-shaped and successful adult.